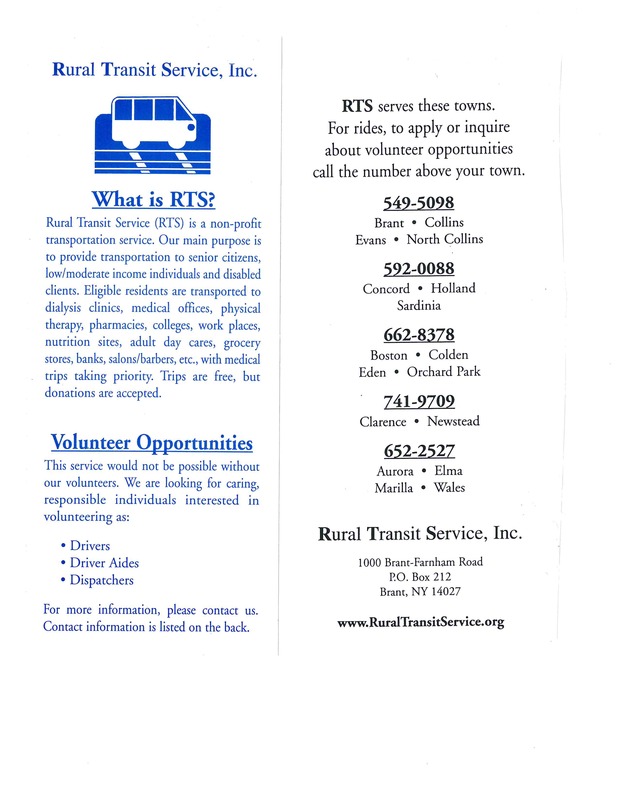 Rural Transit Services (RTS) is a non-profit transportation service provided to senior citizens, low/moderate income individuals and disabled clients. Eligible residents are transported to dialysis clinics, medical offices, physical therapy, pharmacies, colleges, work places, senior centers, nutrition sites, adult day cares, grocery stores, banks, salon/barbers, etc. Medical trips take priority. 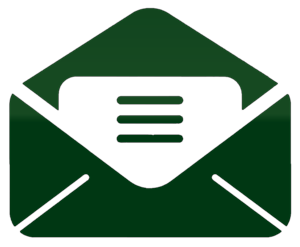 Dispatch must be called 48 hours in advance and up to two weeks in advance for appointments. Individuals may schedule up to two rides per week. * Rural Transit does not run on days that the local school district is closed due to weather. Rural Transit riders are not required to contribute for services provided; although, donations are accepted and encouraged. Suggested Donation: $3/trip or more for longer destination trips. Rural Transit Service's is volunteer driven! Many residents volunteer to drive, dispatch or ride as a driver's aid.